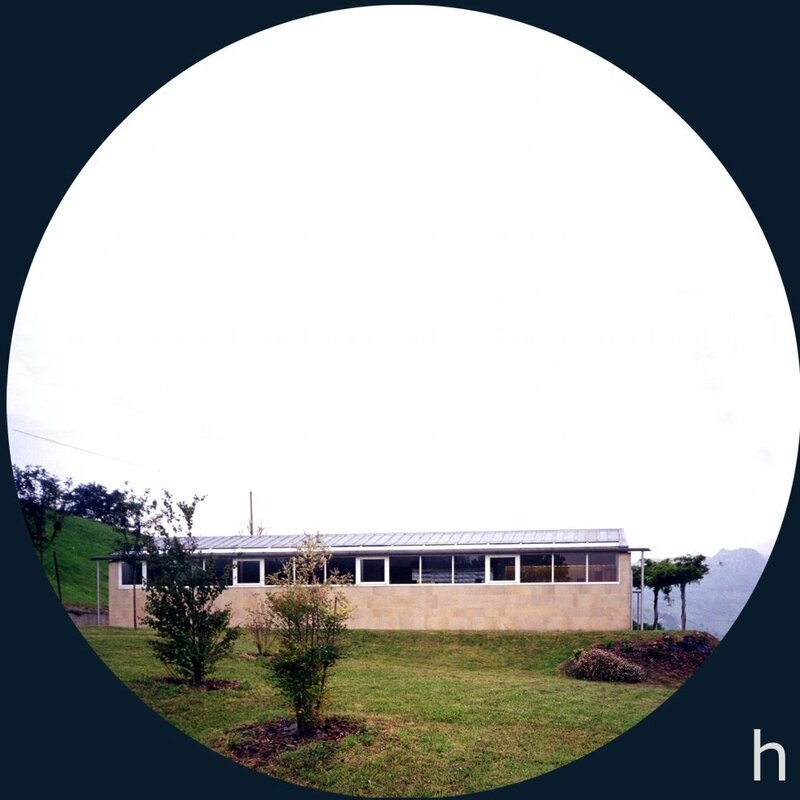 Returning from America, where he had spent five years researching art and architecture in the Institute of Technology Massachusetts (MIT), Juan Navarro Baldeweg received his first commission from his brother to design a weekend house in the hills of the Cantabria. The house is a manifestation of his conceptual investigations in America but, yet like a box of resonance, it needed an inhabitant to listen to it. Juan Navarro Baldeweg's brother wanted to enjoy family vacations in Alto de Hermosa in Liérganes. He had land which opened up to the green valley to the west, from where one could template the sea in the distance to the north. 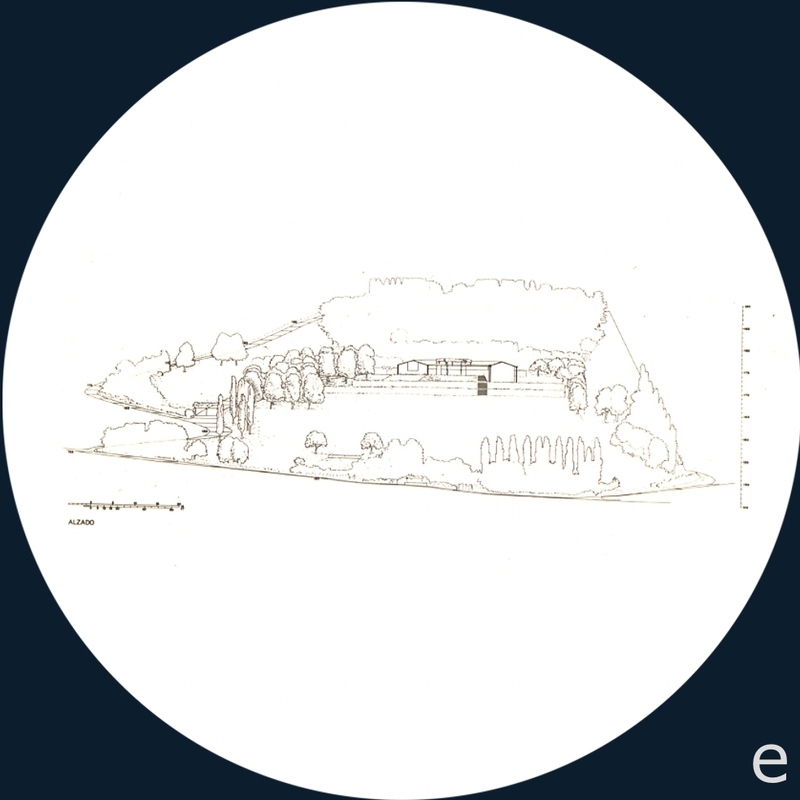 This project description would give the architect an opportunity to materialise his investigations from his broad conceptual education. Before becoming an architect, Juan had studied engraving at the School of Fine Arts of San Fernando in Madrid. This made him consider himself as much a painter as an architect. After finishing his PhD studies at the School of Architecture in Madrid in 1970, he left for MIT in Boston, USA. 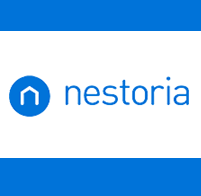 In 1977, he returned to the same School of Architecture in Madrid as a Professor of Design. 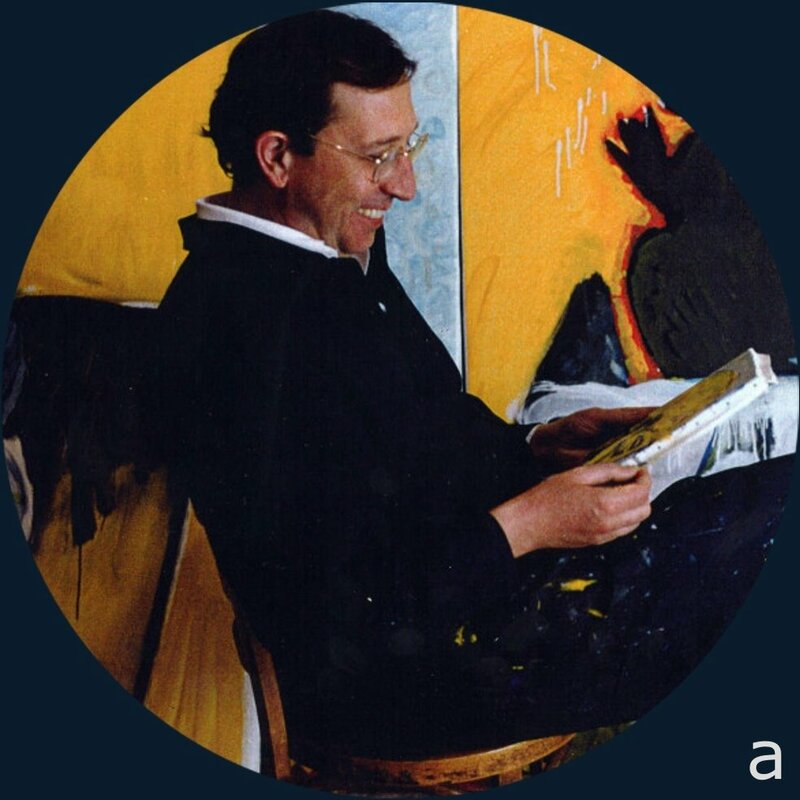 During his academic journey, Navarro Baldeweg reflected on and analysed certain essential forces in Nature - light, gravity, horizon, equilibrium, structures and the hand - which were realised in his different installations, paintings and later, architecture. The Slide from the exhibition Light and metals in Sala Vinçon in Barcelona in 1976 was, for instance, a game of equilibrium and instability, suspended in the air and ceasing the notion of time and space. Investigating further the field of perception, the installation boxes, Five Units of Light from 1974, construct and give shape to the trace of light in a natural environment. Applying this research, Baldeweg moved between sculpture, painting and architecture and aspired to experiencing space and the environment through relationships with human feeling and thinking. The House of Rain (1978-1982) draws its name from the climatic conditions that surround it. 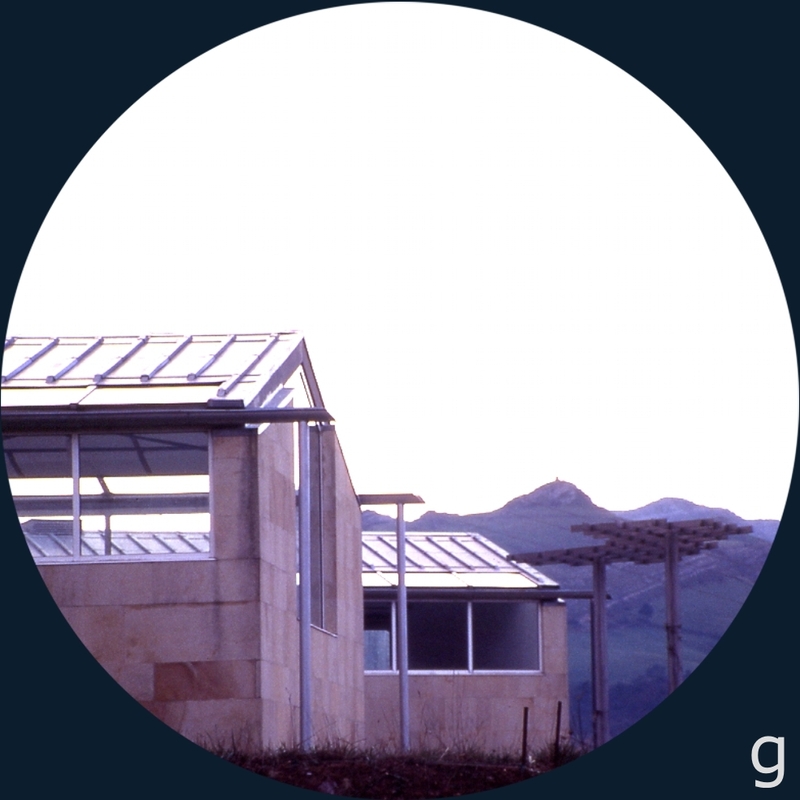 The stratification of building materials - stone, glass and zink - creates the impression that the rain transforms the house; dressing it, changing its textures and colours, resounding in it. This idea was already present in an installation in 1979, which formed part of the project. It was a small model made in copper of a house with a pitched roof and big gutters over which a coil sprayed fine rain. Appearing as if the water “combed” the house, the eye of the spectator sensed a relationship between the form, space and the different textures of the water left behind. The design of the house acquired a U- shape with its two arms gently open as a gesture to embrace the valley. The link with the landscape was reinforced by separating the structure that holds the house from its enclosing walls, thus allowing a line of windows to run along the facades with the vision uninterrupted towards the horizon. 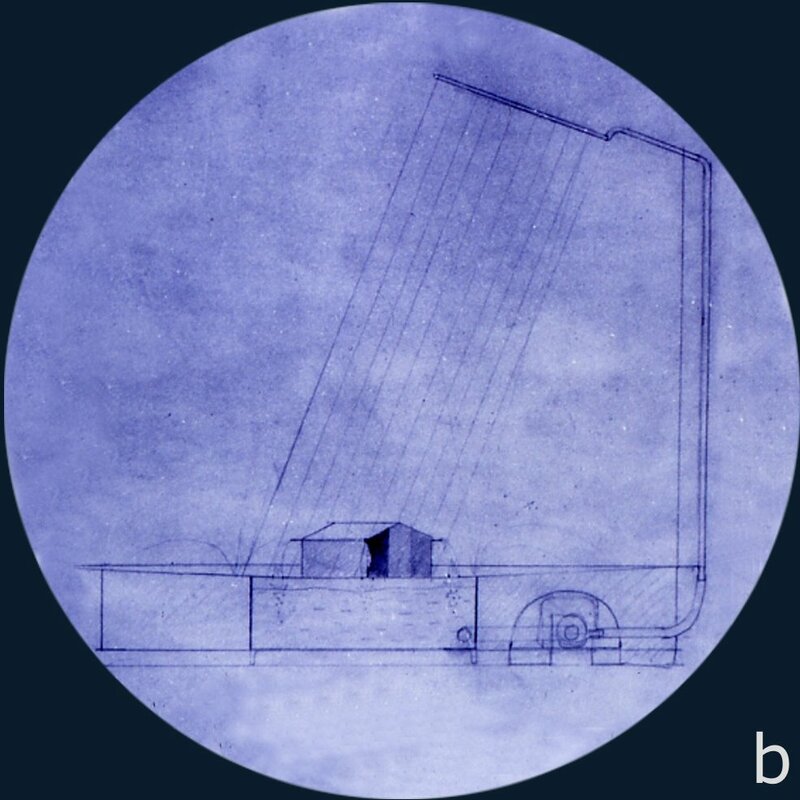 Using architectural references, like interior perspectives by architect Baillie Scott (1865-1945) where windows were placed at eye level, Navarro Baldeweg also showed a commitment to functionalism and the poetics of space. Tracing the road that surrounds the house, the visitor finds an entrance characterised by two blind and slightly curved walls. Instantly, the absence of a reference drawing out the horizon produces a certain feeling of oppression and makes the eye move and look for limits. At this point, the project anticipated that one would see three glass boxes, which were intended to organise and display overcoats, books and tableware, respectively. The glass boxes acted as mediators between the inhabitant and nature. Their slightly fan-shape layout composed the space and guided the visitor in his study of time to reach the infinite space by the horizon that was framed by a pergola situated in the garden. It was here that the eye could finally rest and contemplate the line of the horizon. But at moment of rain, this line would dissolve again and give way to a soft sound from the roof. Through enlarging the scale of the first house in copper to make it into full scale architecture, Baldeweg introduced the notion of the client; his perception of entering a space and organising his belongings and memories within the landscape. Although the glass boxes were never built, the architect offered the possibility to fuse the daily life with the furniture, architecture and landscape. He imagined a house which acted as a resonant box. As he himself explained to us; "the instrument and the music are not the same thing. Nobody makes a musical instrument with the object itself. The experience of the architecture is like listening to music." When resounding, architecture encourages us to establish an agreement between the physical and the sensual. As such, the House of Rain is only fully perceived when inhabited. b+c. The House of Rain, installation. 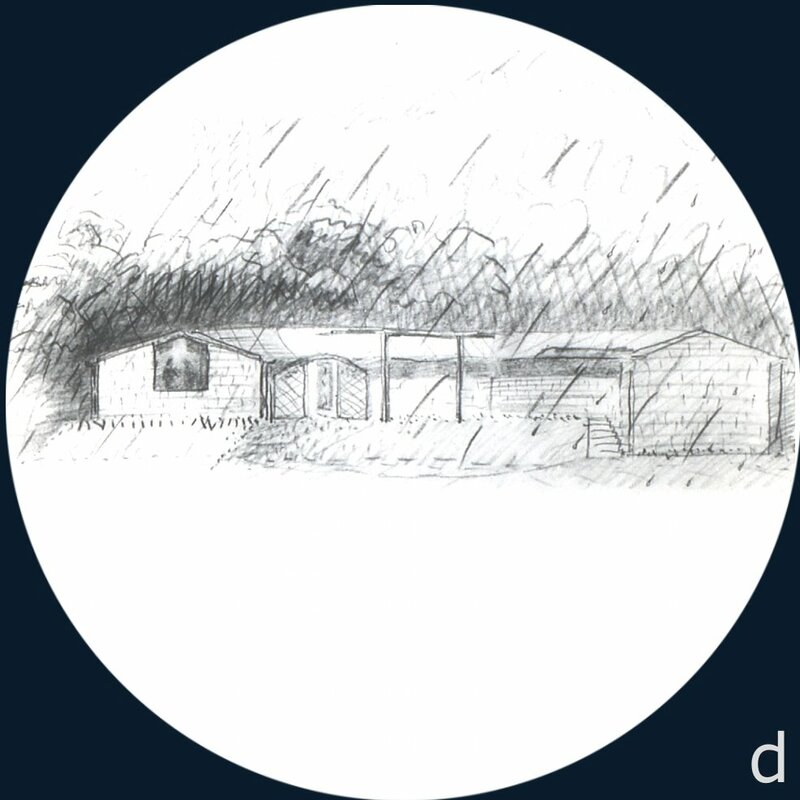 1979.
d. A sketch of the House of Rain on a white background (1979). Pencil drawing, 30x40 cm. 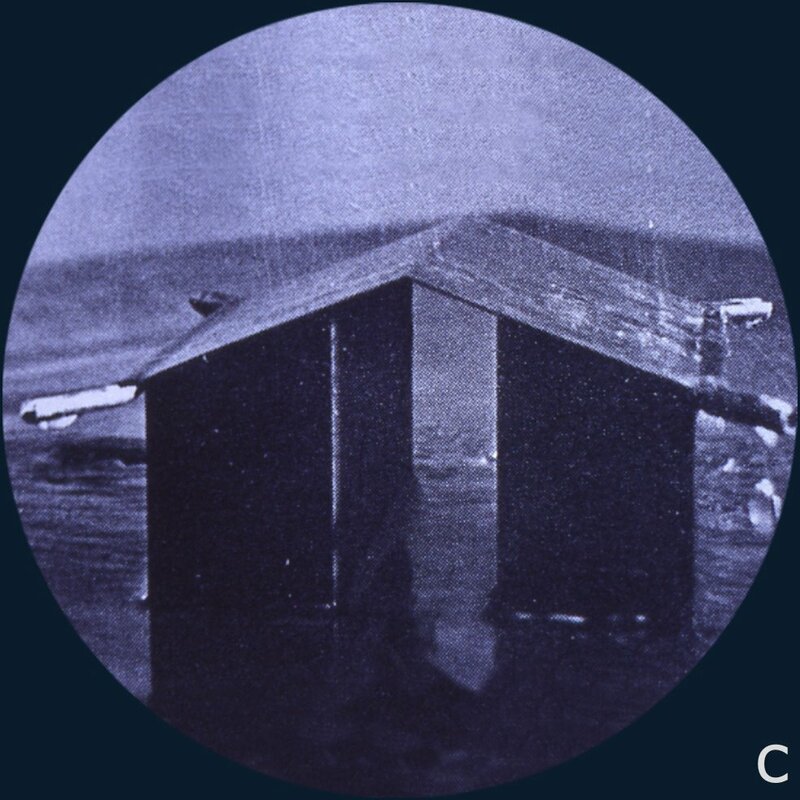 e. Appearing as if the water “combed” the house, the eye of the spectator sensed a relationship between the form, space and the different textures of the water left behind. 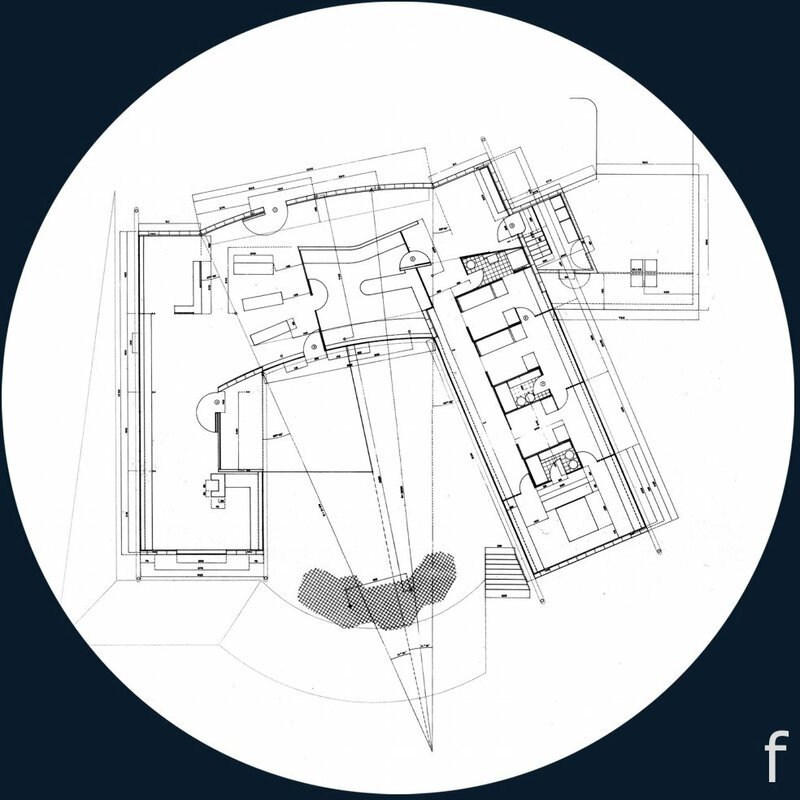 f. Ground plan of the House of Rain (1978-1982). h+i. 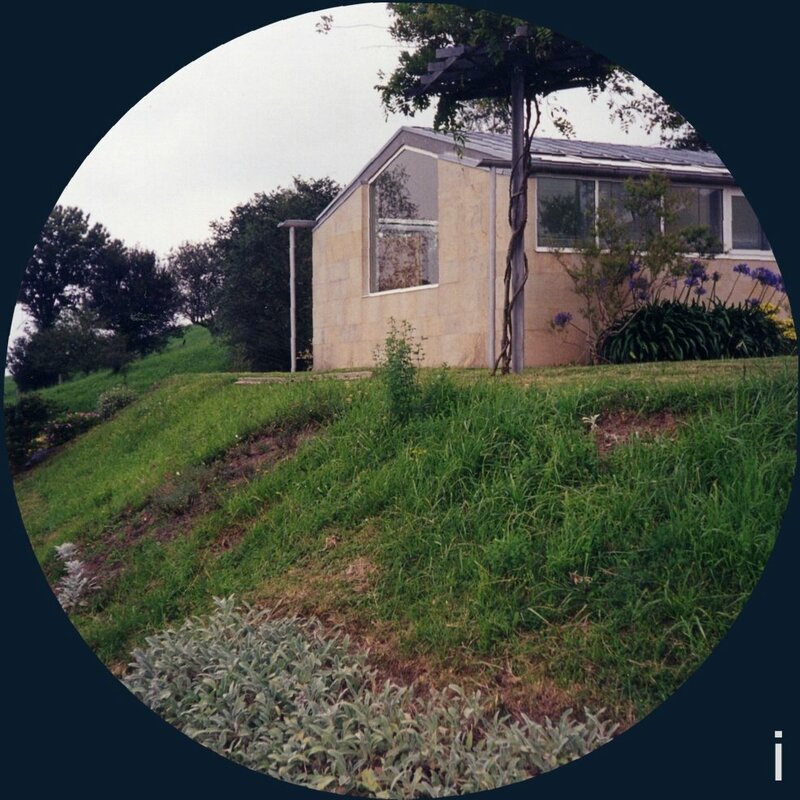 The design of the house acquired a U-shape with its two arms gently open, as a gesture to embrace the valley.